The University of Southampton has been awarded a multi-million grant from Lloyd’s Register Foundation to bring together some of the world’s brightest early career researchers to find new ways of using nanotechnologies to improve safety at sea, on land and in the air. Applications will soon be invited from scientists and engineers keen to pioneer research across a range of industries. Nanotechnologies are already widely used, for example in smart phones, cameras and gadgets. Breakthroughs already being developed include cars, boats and planes built from lightweight materials stronger than steel with new functions such as self-cleaning and repairing; flexible textiles that can become rigid and shockproof to protect the wearer; sensors in hostile environments such as the deep ocean and space; tiny implants for real-time monitoring to aid diagnoses for doctors; and smart devices that harvest energy from their environment. ICON will support more than 50 PhD students to undertake research at leading global universities, aided by matched funding. 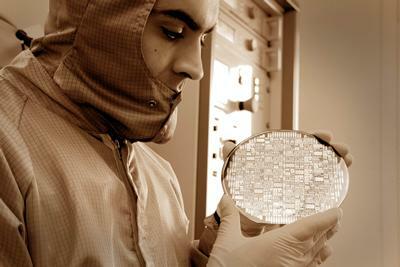 They will work together with partners from industry on interdisciplinary projects and access world-leading facilities, such as the £120m Southampton Nanofabrication Centre. The doctoral researchers will meet every year to present their findings and share ideas and concepts, becoming part of a global doctoral cohort addressing the Foundation’s safety mission.